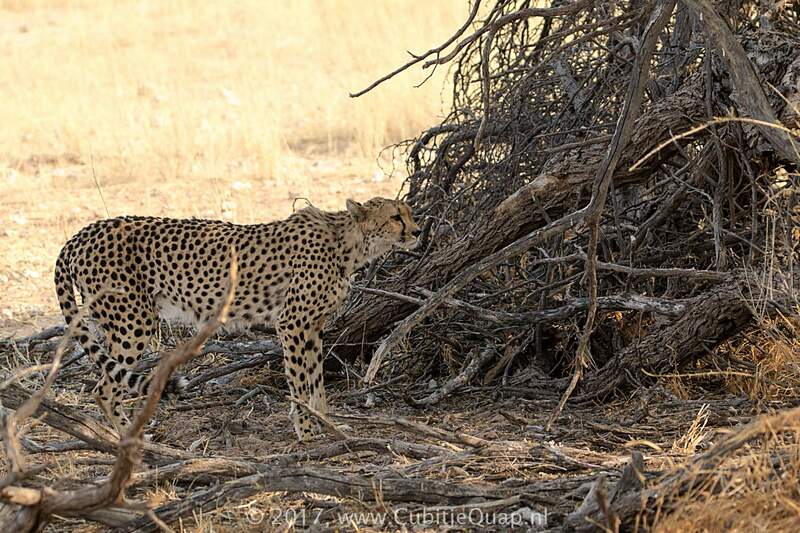 We found Lisette early in the morning near Urikaruus. 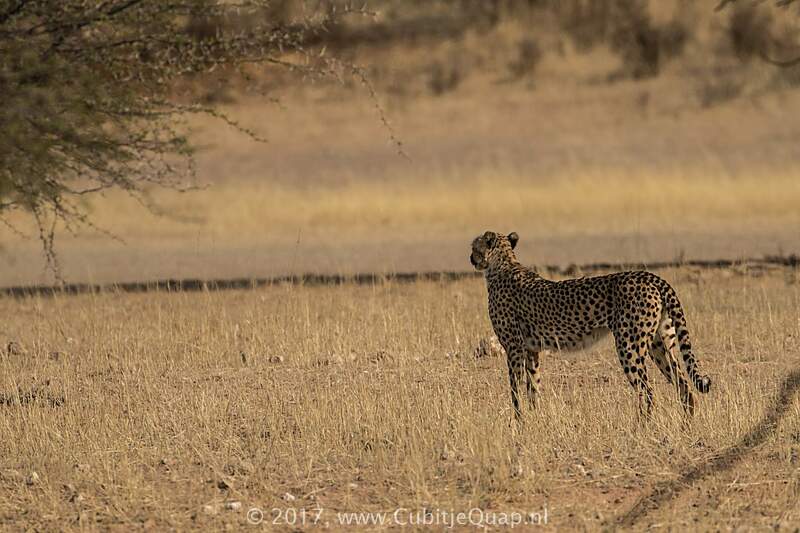 She more of less stayed in the same place for a long time, sometimes sitting and carefully looking around, most of the time standing. 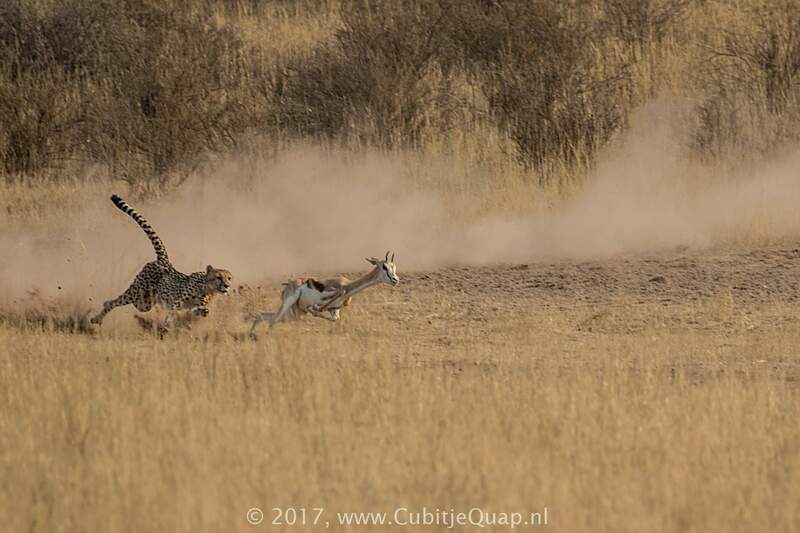 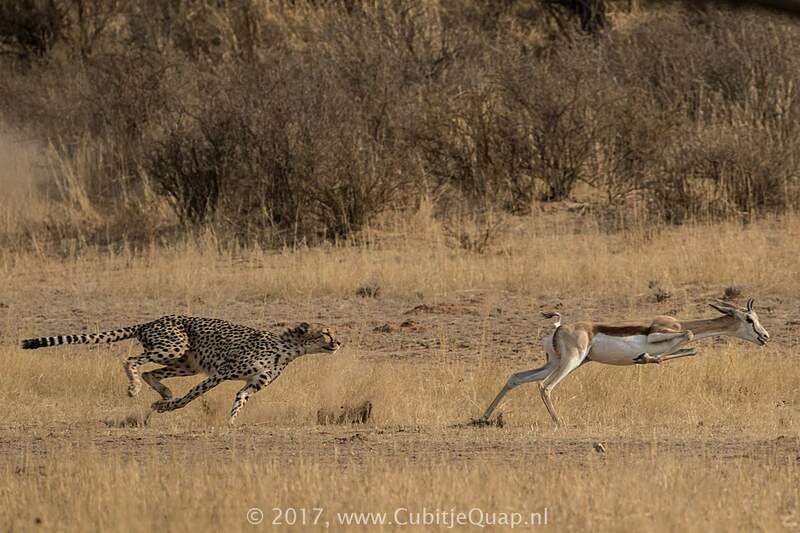 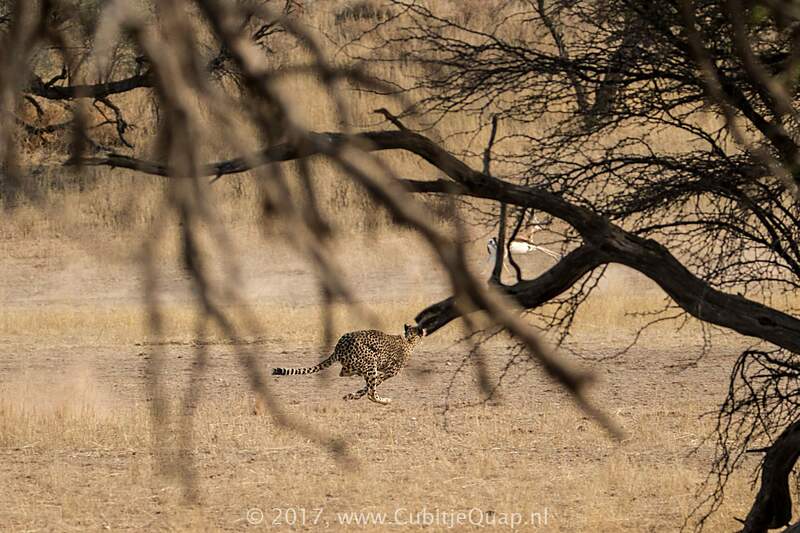 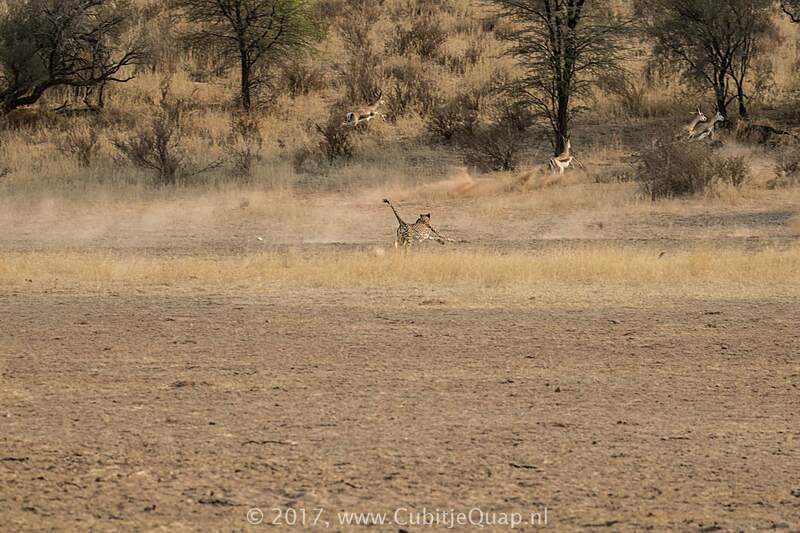 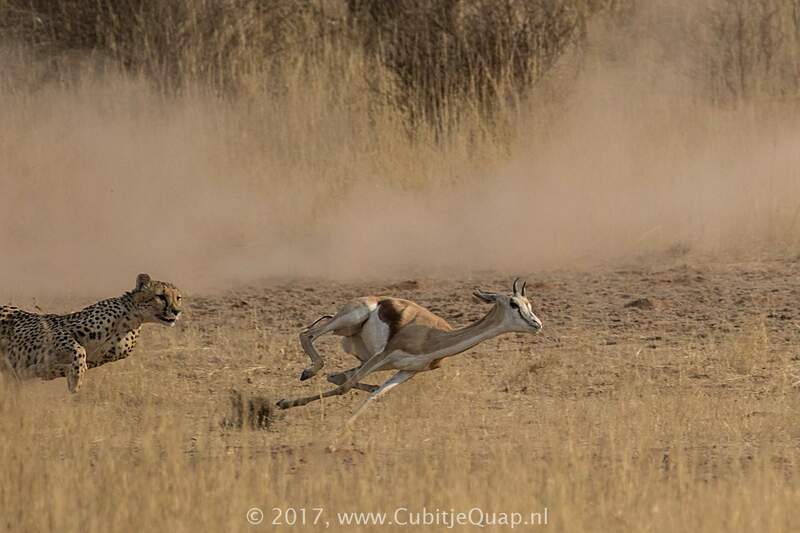 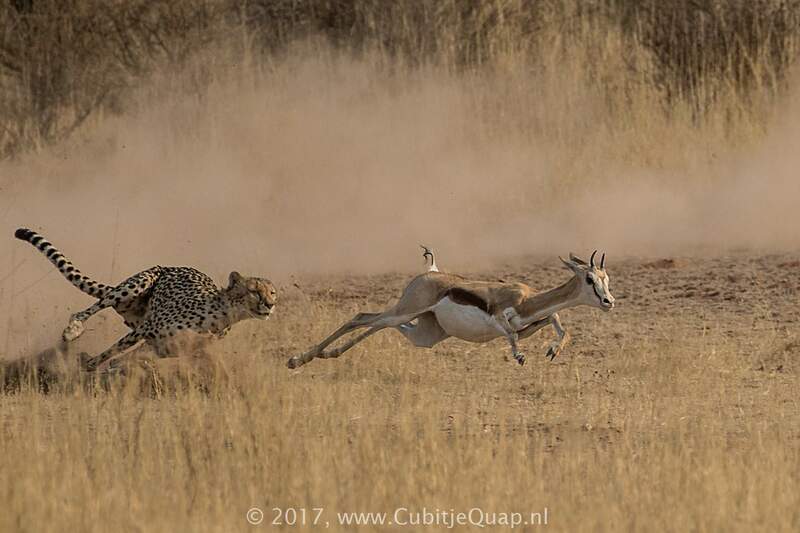 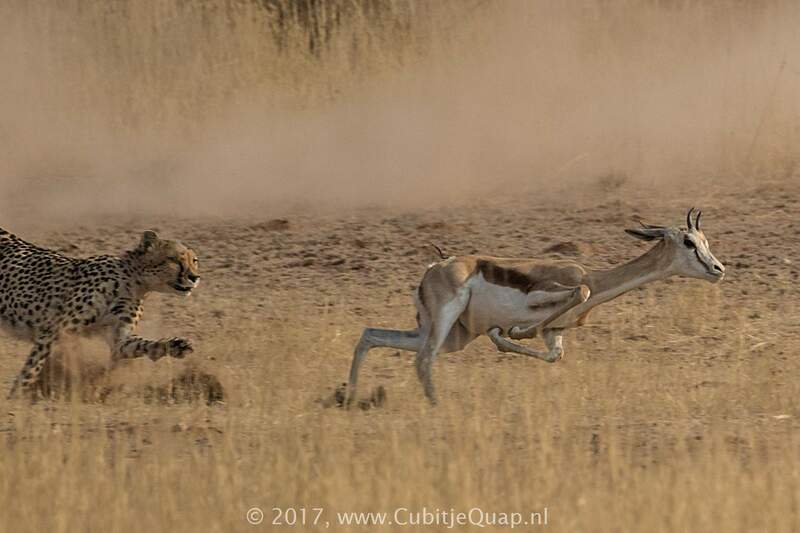 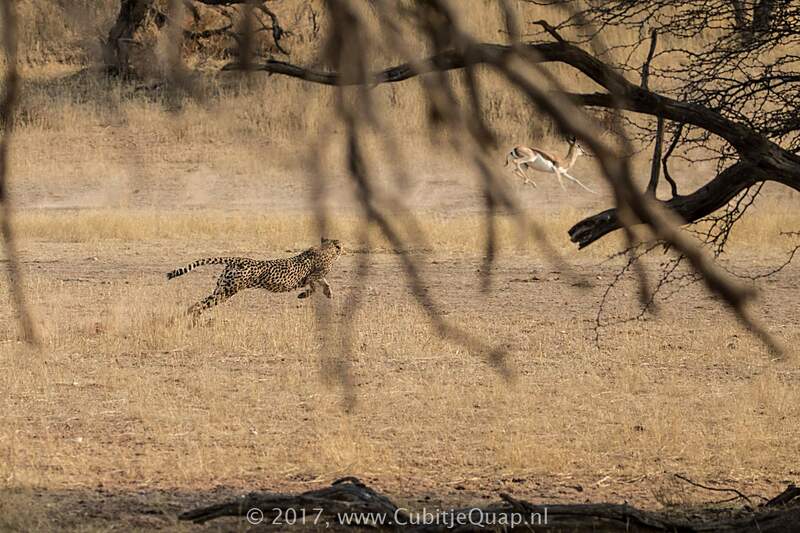 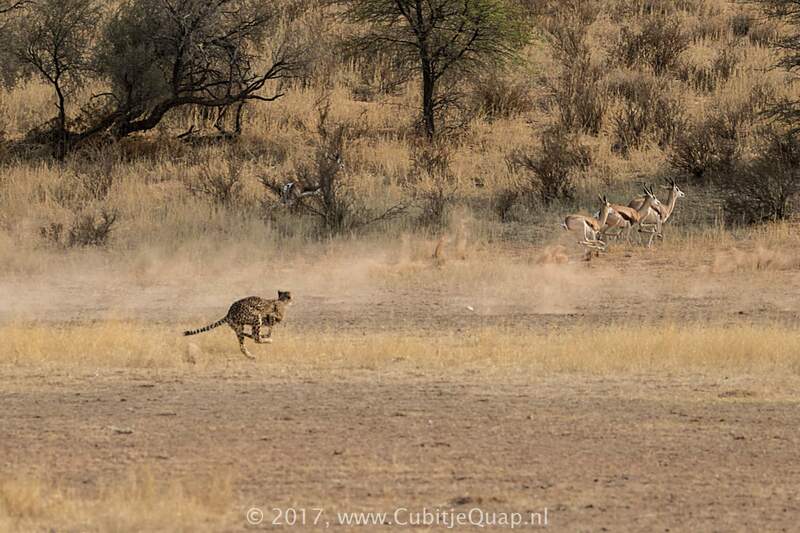 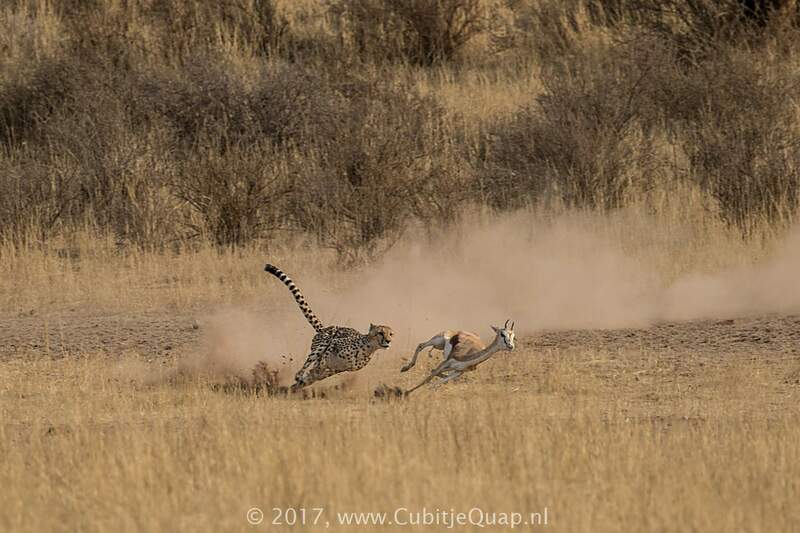 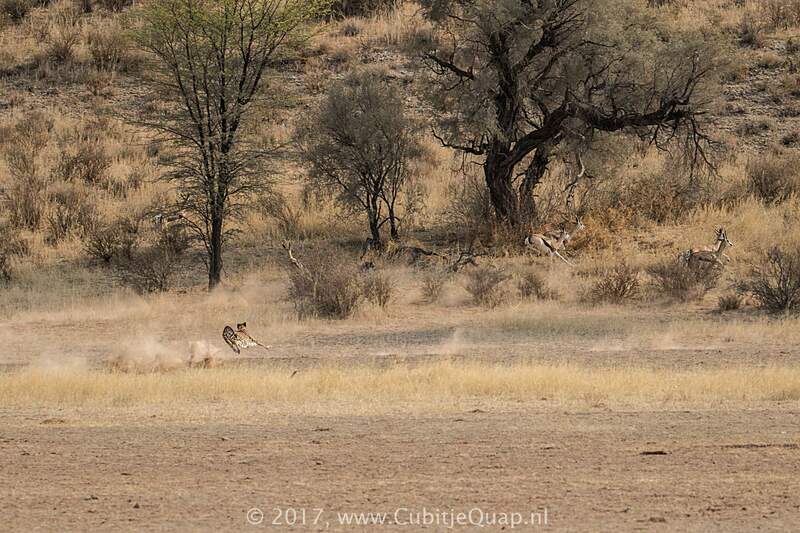 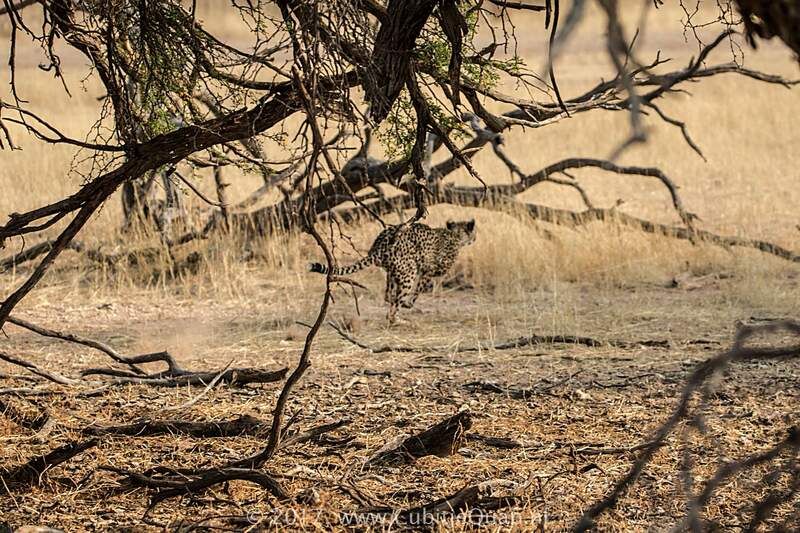 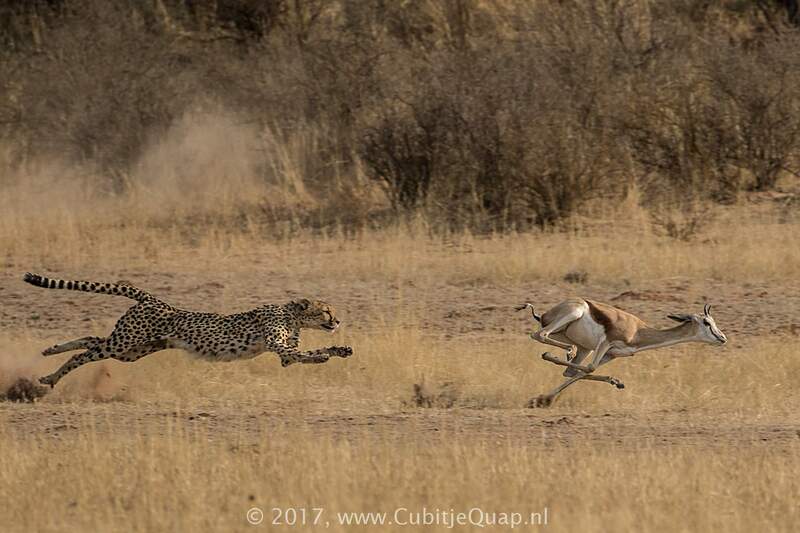 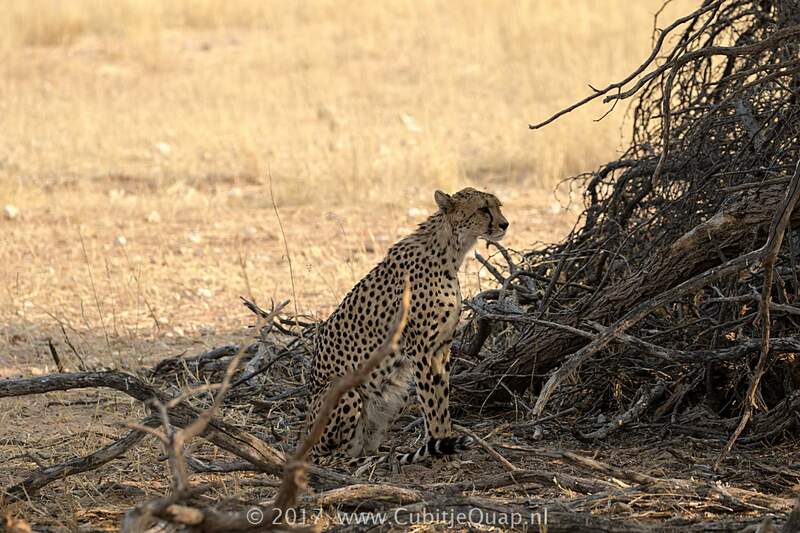 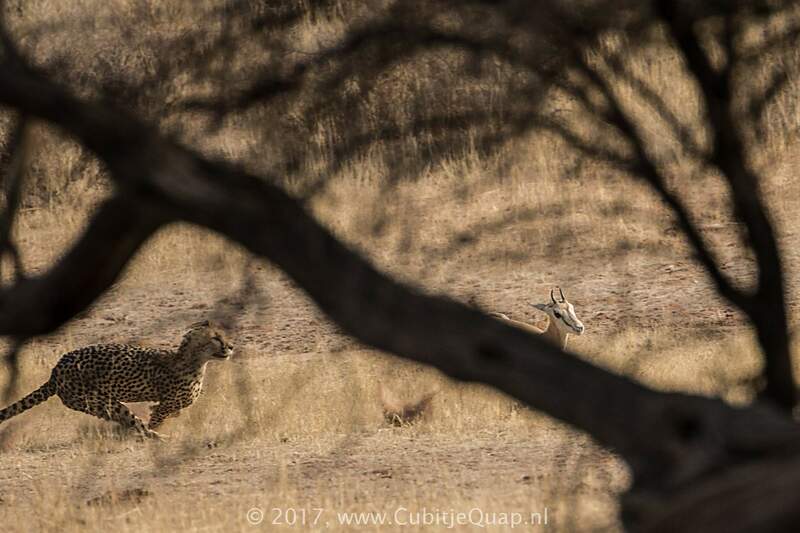 When a small group of springbok walked by, she hid in de dead branches under the big tree and suddenly sprinted out to chase a springbok. 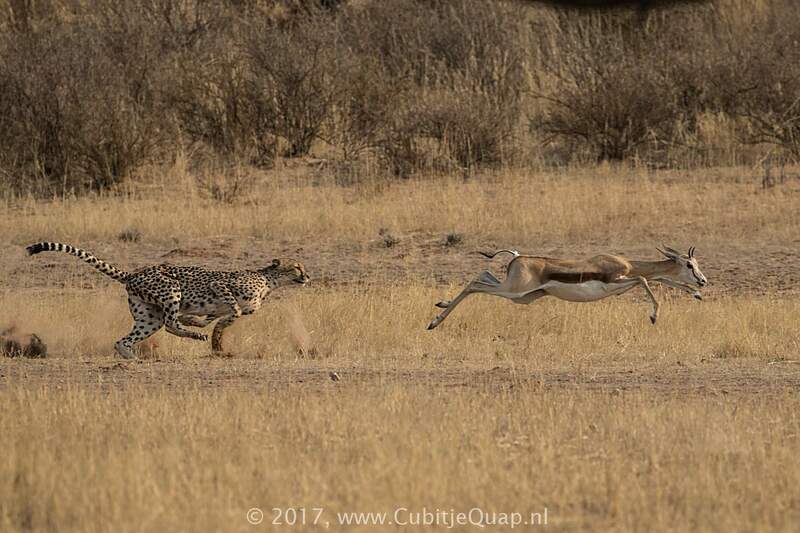 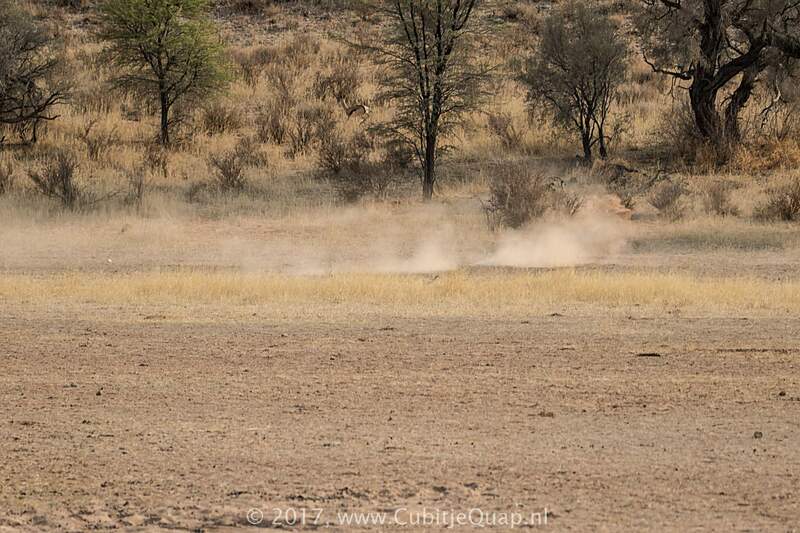 The distance was probably just too much, the springbok got away and Lisette rested for a while, lying down in the riverbed.